Snow means different things to different people. On one hand, it has the power to transform even the ugliest landscape into a glittering wonderland of refracted sunlight and stilled sound. On the other hand, it is also capable of turning the daily commute into a nightmare of sludge-coated roads and slippery sidewalks. In many places, the ever-present specter of global warming means that snow is becoming an increasingly rare phenomenon; while in others, snow is a way of life that seems unlikely to change anytime soon. Here's a look at six of the world’s snowiest cities, based on data collected by AccuWeather.com. Sharing fifth place on our list of the world’s snowiest cities is Syracuse, New York, with an average annual snowfall of 124 inches/314 centimeters. Records show that the city occasionally experiences even heavier snows, with an all-time high of 192 inches/488 centimeters in a single season. Statistics like these cement Syracuse’s status as the snowiest metropolitan area in the United States, a claim made possible by a combination of different geological factors - including the city’s proximity to Lake Ontario and the regular dumping of snow by nor’easter cyclones. 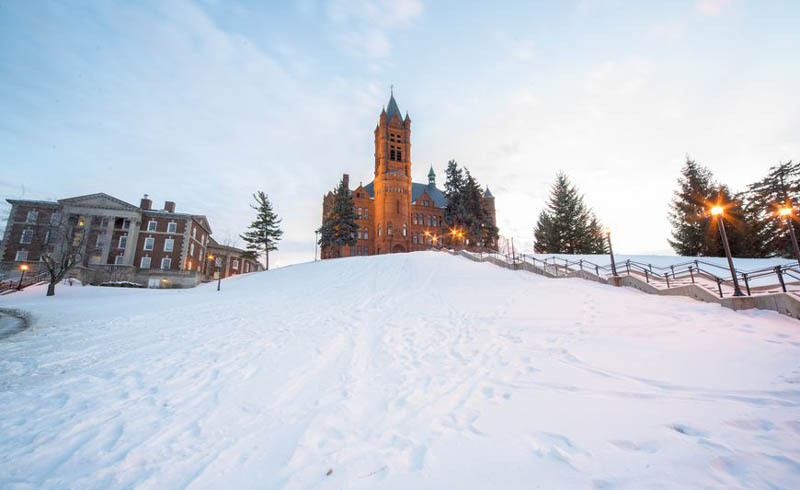 Known as the economic and educational hub of Central New York, Syracuse is as famous for its weather as for its university’s Division I sports teams. The city consistently wins the Golden Snowball Award, a humorous accolade given to the Upstate New York city with the most snowfall each season. Syracuse has won the award every year since 2003 - except for the 2011 - 2012 season when Rochester temporarily seized the crown. Fellow competitors Rochester and Buffalo qualify as the world’s eighth and ninth snowiest cities respectively. Tied with Syracuse as the world’s fifth snowiest city, the capital of Québec Province also sees an average annual snowfall of 124 inches/314 centimeters. Although officially classified as having a humid continental climate, Québec City is no stranger to cold temperatures with record winter lows of around -34°F/-36°C. Snow typically starts to fall in early November and stays on the ground until mid-April. Québec City celebrates its chilliest season with the Québec Winter Carnival, a two-week extravaganza that includes parades, winter sports, and snow-sculpting competitions. 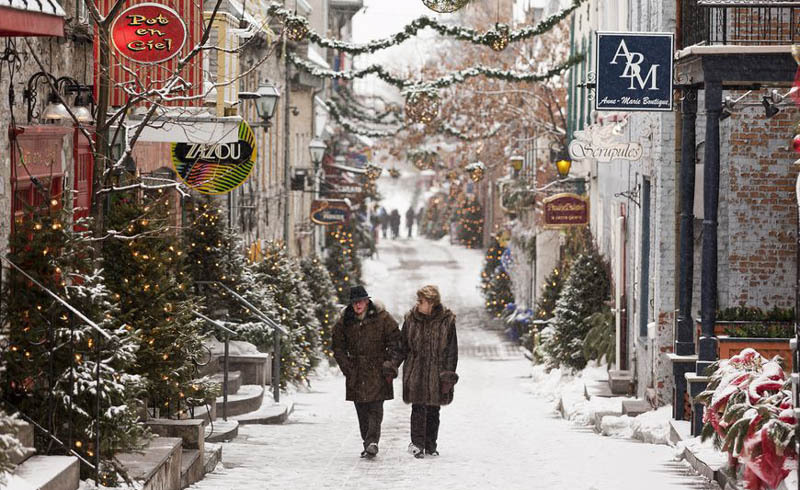 Throughout the rest of the season, Québec City remains a favorite destination for winter sports enthusiasts, with opportunities for ice-skating, ice-climbing, and cross-country skiing all within easy reach of the city center. There are also several ski and snowboard resorts located less than an hour’s drive away, including Stoneham Mountain Resort and Monte-Sainte-Anne. Québec City is also famous for its UNESCO protected Old Town, whose picturesque colonial architecture reflects the city’s identity as one of the oldest in North America. 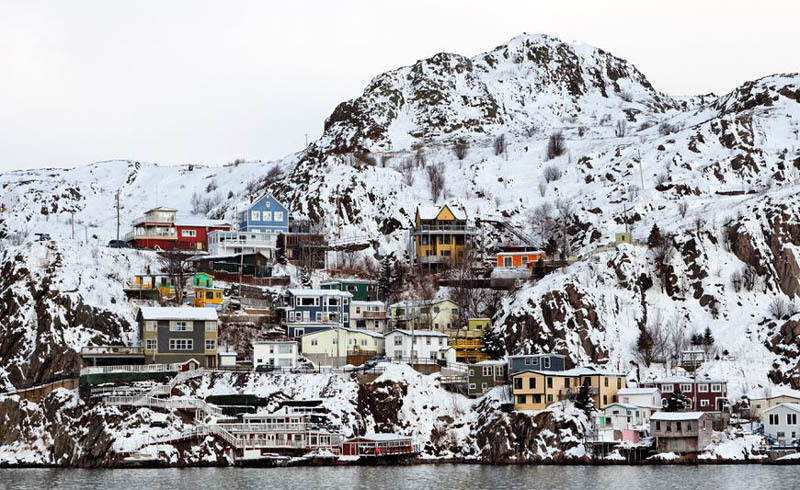 The capital of Canadian province Newfoundland and Labrador, St. John’s holds the title of the world’s fourth snowiest city with an average annual snowfall of 131 inches/ 332 centimeters. St John’s adds this accolade to a series of other meteorological superlatives, including its status as the foggiest, windiest and cloudiest of all major Canadian cities. 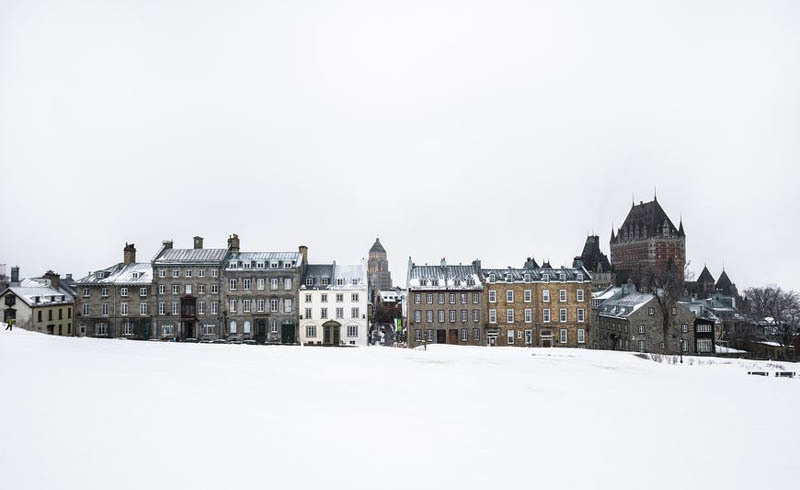 The region’s extreme weather results in snow that regularly transitions to rain part-way through a storm, so that despite St. John’s’ heavy snowfall, snow is often slow to settle. In addition to snow, St. John’s often experiences freezing rain, whereby subzero temperatures cause liquid rain to freeze upon contact, covering everything with a thin layer of ice. February is traditionally considered the coldest month, with average lows of -16.5°F/ -8.6°C. Despite St. John’s frequently inhospitable weather, there are plenty of reasons to visit the oldest English-founded city in North America. When the sun shines, the city’s multi-colored row houses are a sight to behold, while its music, art and culinary scenes are both vibrant and eclectic. Toyama is the capital of Toyama Prefecture and the third snowiest city in the world. 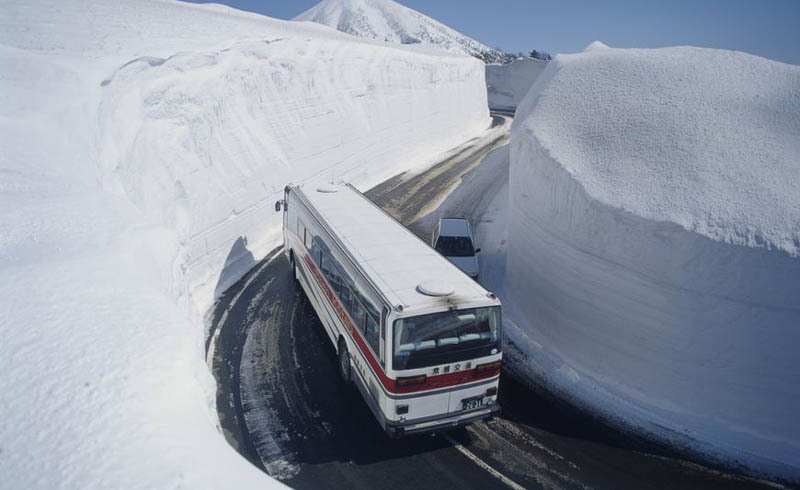 Located in central Honshu on the Sea of Japan coast, the city experiences an annual snowfall of 143 inches/ 363 centimeters, despite having a humid subtropical climate. 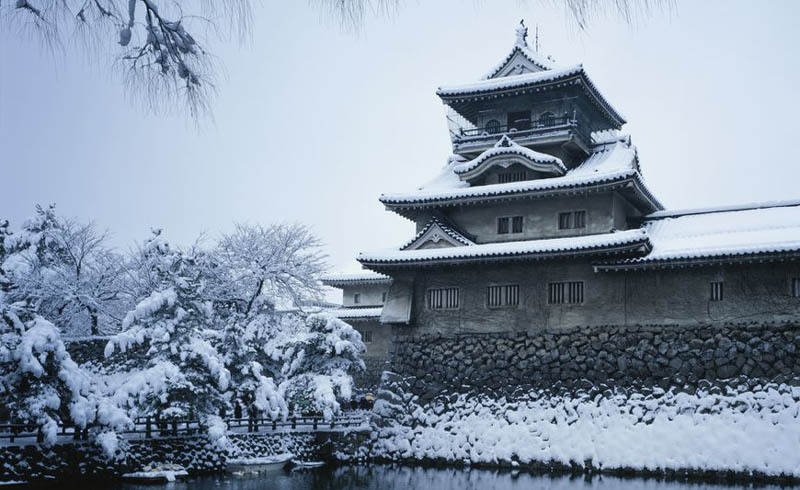 Almost all of Toyama’s snow falls between December and March, with January typically considered the snowiest month. With record highs of 103°F/ 39.5°C in summer, Toyama’s winter snow is a phenomenon caused by the city’s proximity to the coast and its location within Japan’s snow belt. Toyama is traditionally recognized as a center for medicine and pharmaceuticals, and as a convenient gateway to excellent skiing and snowboarding in the Japanese Alps. The city itself has several worthwhile art galleries, museums, and historical landmarks - but the most important attraction for snow aficionados is the nearby Tateyama Kurobe Alpine Route. 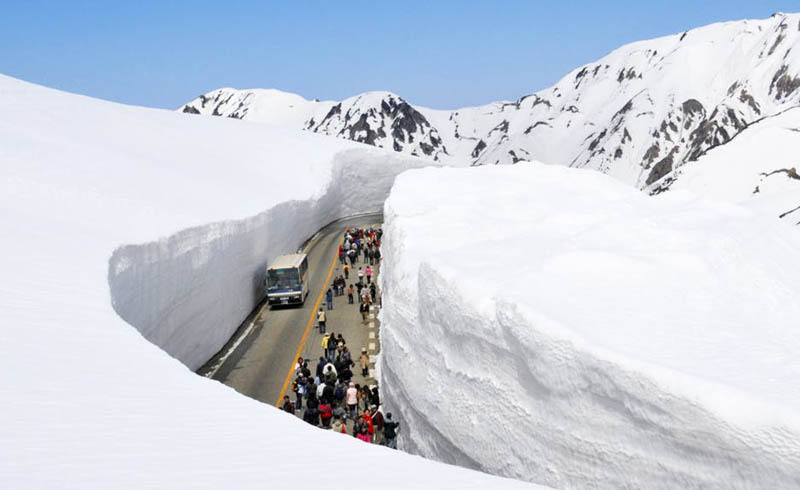 Designed to showcase the dramatic scenery of Mount Tateyama, the sightseeing route is closed from December to early April; however, towering snow walls edge the road until well into summer. Located on the northern Japanese island of Hokkaido, Sapporo is the second snowiest city in the world. Each year, the Hokkaido Prefecture capital (and fourth most populous city in Japan) sees an average annual snowfall of 191 inches/485 centimeters, despite enjoying warm summer temperatures of up to 97°F/36°C. Sapporo’s snowy winter climate makes up a large part of its international identity. It is known around the world as the first Asian city to host the Winter Olympics in 1972, and for its annual Sapporo Snow Festival. 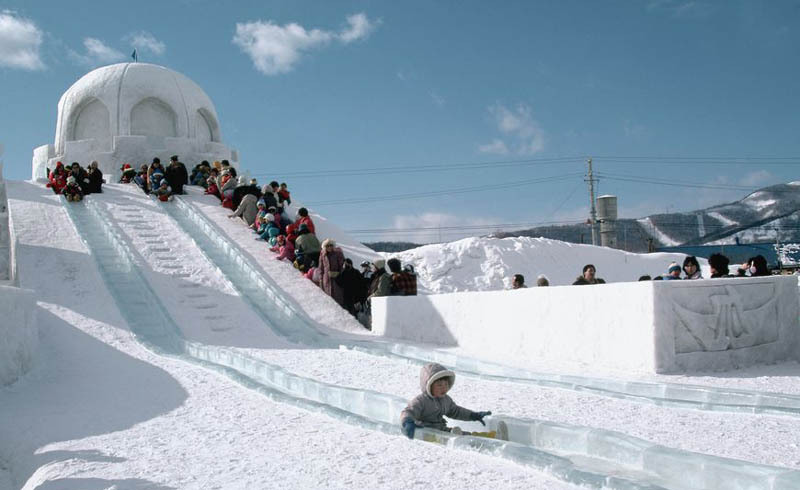 Held each year in February, the Snow Festival attracts more than two million visitors from all over the world. It features professionally crafted snow and ice sculptures, all of which are beautifully illuminated at night. The sculptures are an incredible feat of engineering, with the largest measuring up to 50 feet/ 15 meters in height. Sapporo’s high snowfall is due in large part to the southward flow of icy air from eastern Siberia. Apart from its exceptional weather, the city is known as the home of internationally exported beer brand Sapporo. The title of the world’s snowiest city belongs to Aomori City, the capital of Aomori Prefecture in the far north of Japan’s Honshu Island. 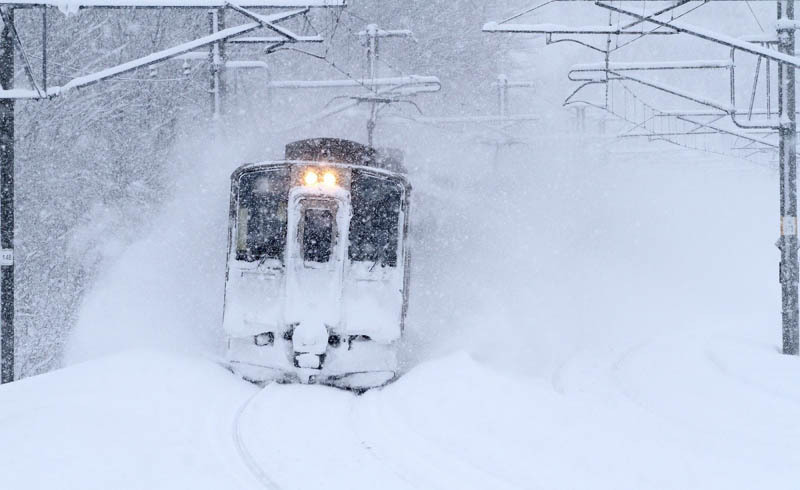 Every year, Aomori City experiences an average annual snowfall of 312 inches/792 centimeters, the majority of which falls between November and April. In the depth of winter, the city is so deeply covered that snow stands several meters high along the edges of its cleared roads. Aomori City’s incredible snowfall is the result of its unique geographical location between the Hakkōda Mountains and the shores of Mutsu Bay. Colliding winds cause accelerated cloud formation, which then results in heavy precipitation that falls as snow rather than rain due to the city’s cold winter temperatures. Other than its extreme weather, Aomori City is known for the production of sake, seafood, and apples (the latter during its sunny, temperate summers). Every summer, the city also hosts the Nebuta Festival, which sees its streets lit up by parades of colorful lanterns. In winter, tourists come to take advantage of the snow at ski and snowboard resorts in the nearby mountains.